The court convened on Monday to hear constitutional proceedings filed by the Opposition leader, who is challenging the Attorney General's decision to deny him a full copy of the Egrant inquiry. Police Commissioner says Assistant Commissioner Ian Abdilla had received the Egrant inquiry, who then relayed him a copy via email. Three police inspectors also have access to the inquiry. OPM deputy chief of communications says he doesn't know the contents of the Egrant inquiry. 11.25am: PN leader Adrian Delia intervenes and requests that witnesses be heard at the next sitting, so as not to waste time. The case is adjourned to January 28. 11.22am: Mr Carbone's testimony comes to an end. The judge declares that the AG's office lawyer is to inform the court whether she is to cross examine any witness. 11.20am: "Did you communicate the contents of the Egrant inquiry to third parties, to the rest of Malta?" Mr Carbone hits back: "I cannot communicate the message of a report I never saw." 11.15am: If you're catching up with us now, Matthew Carbone, deputy chief of communications at the Office of the Prime Minister, is being questioned on the publication of the Egrant inquiry, which has so far been disseminated to just a handful of individuals. 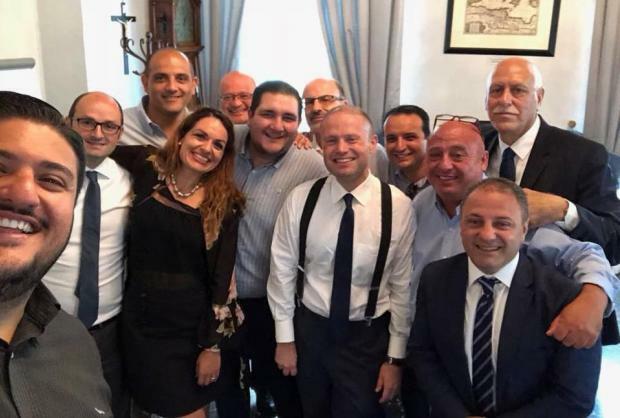 11.10am: Mr Carbone is grilled about Owen Bonnici - he says he knows the minister, who he describes as a "friend", has a copy of the Egrant report and that he advises PM on certain matters, not just the case in question. Dr Buttigieg accused the PN leader's lawyer of being on a fishing expedition. 11.05am: Mr Carbone says he spoke to Keith Schembri about the way such shameful allegations were bringing down the level of Maltese politics. Dr Galea refers to a particular paragraph in the Egrant report concerning Mr Schembri. "I don’t know its contents," Mr Carbone replies. The witness is shown a copy of letter originally sent by the Prime Minister requesting the Egrant inquiry. That letter was reproduced in the published conclusions where reference was also made to Keith Schembri, Konrad Mizzi and John Dalli. Mr Carbone says he spoke to Mr Schembri but not to John Dalli nor Konrad Mizzi. 10.57am: Mr Carbone says he discussed the inquiry conclusions with Keith Schembri since the "fabricated conclusions" concerned the Prime Minister and his wife. "So you spoke to Keith Schembri about all conclusions except those concerning him. Is that what you are saying?" "I commented to Schembri. We did not have a meeting to discuss Egrant," the OPM deputy chief of communications replies. 10.53am: Replying to further questions, Mr Carbone says he only spoke to Labour Party exponents about the Egrant conclusions "like all of Malta did". 10.50am: "So did someone sneak in, take photo and upload it on social media?" the PN leader's lawyer asks. Mr Carbone replies: "I don’t know. I did not take the photo, nor upload it, nor authorise it." 10.43am: He says that when he got to work on the day of the press conference he was given a hard copy of the conclusions to be prepared. 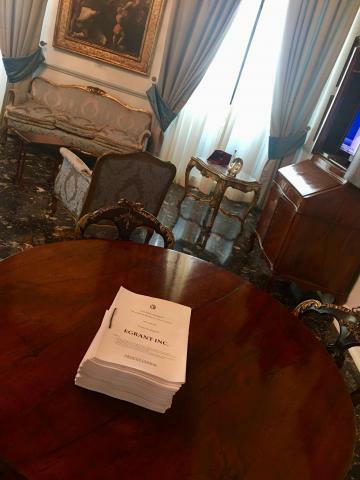 The Egrant inquiry report sitting on a desk at the Office of the Prime Minister. Mr Carbone insists: he did not see the full Egrant report. He did not even see it physically. He says he does not know who took the picture of the Egrant inquiry report. "As far as I know it was not published on official channels of government," he replies. 10.38am: Matthew Carbone says he got to know of the Egrant inquiry report on July 21 when the report was published. He says he was informed by Kurt Farrugia that the Prime Minister was to address a news conference, which took place the following day. 10.37am: Mr Carbone says he holds no position within the Labour Party, though he formerly worked at One newsroom. He says his role is to communicate with government entities and ministries and planning of communications to promote the government's message. He says it is a "position of trust", a job he landed in 2013 after talking to Kurt Farrugia. 10.30am: Mr Cutajar leaves the witness stand. Next up is Matthew Carbone, deputy head of communications at the Office of the Prime Minister. 10.28am: Dr Victoria Buttigieg from the AG's office confirm that a copy of the inquiry is always sent to police once it is closed. 10.23am: Dr Galea wants to know whether the Police Commissioner took action in the Egrant case. Mr Cutajar states that police were following the magistrate's instructions. 10.18am: Asked if the investigations were still ongoing, the Police Commissioner says they were. Mr Cutajar says the assistant commissioner had received a copy of the inquiry from the AG's office. The PN leader's lawyer asks: do investigators have a soft copy of the inquiry? "Yes. 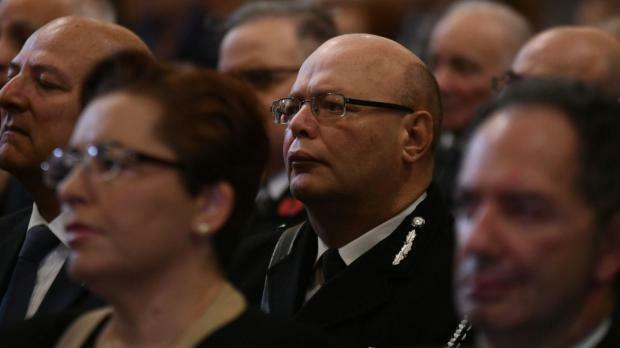 There are three inspectors and they have access to full inquiry," the Police Commissioner says. Each inspector has two officers assisting him. These too have access. Asked to identify the three inspectors, the court intervenes, and says there is no need to know their identity. Police Commissioner Lawrence Cutajar (centre). 10.12am: Mr Cutajar says he has a full copy of the Egrant inquiry. He says Assistant Commissioner Ian Abdilla had received it, who then relayed him a copy via email. The police chief says investigators only have an extract of the report, concerning their investigations. 10.10am: Police Commissioner Lawrence Cutajar takes the witness stand. Also in the court room are PN leader legal representative Vincent Galea and Dr Victoria Buttigieg from the AG's office. 10am: In the last case on November 26, Kurt Farrugia, head of communications at the Office of the Prime Minister, insisted all along that he discussed the Egrant inquiry with nobody, not even with Keith Schembri, his boss, who is cited in the report conclusion. He insisted that the copy was always under lock and key inside his office. Justice Minister Owen Bonnici had also said he did not discuss Egrant inquiry report with anyone. Prime Minister said only three people have access to the inquiry: Lawyer Pawlu Lia, the Justice Minister and Kurt Farrugia. 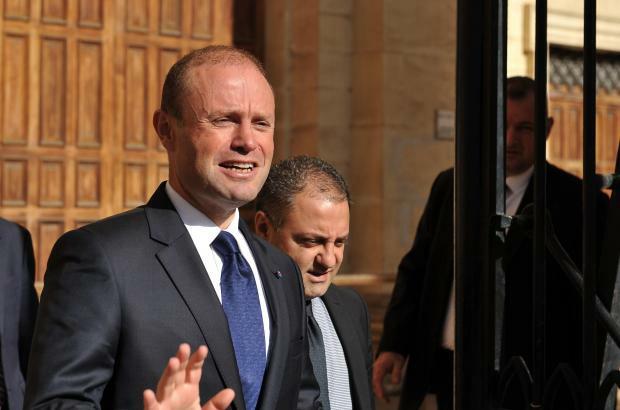 Read: Muscat: "I haven't yet seen full Egrant report"
Some background: A magisterial inquiry last July found no documentation linking the Muscat family to the allegations, with a UK-based forensic accounting firm also failing to find any evidence linking the Muscats to Egrant on Pilatus Bank servers. In 49 pages of conclusions published by the Attorney General’s office, the magistrate cast doubts on several aspects on the testimony of former Pilatus employee Maria Efimova and found that many of the allegations, first published by Daphne Caruana Galizia in April 2017, were not backed by proof. Joseph Muscat and Kurt Farrugia leaving court last month.